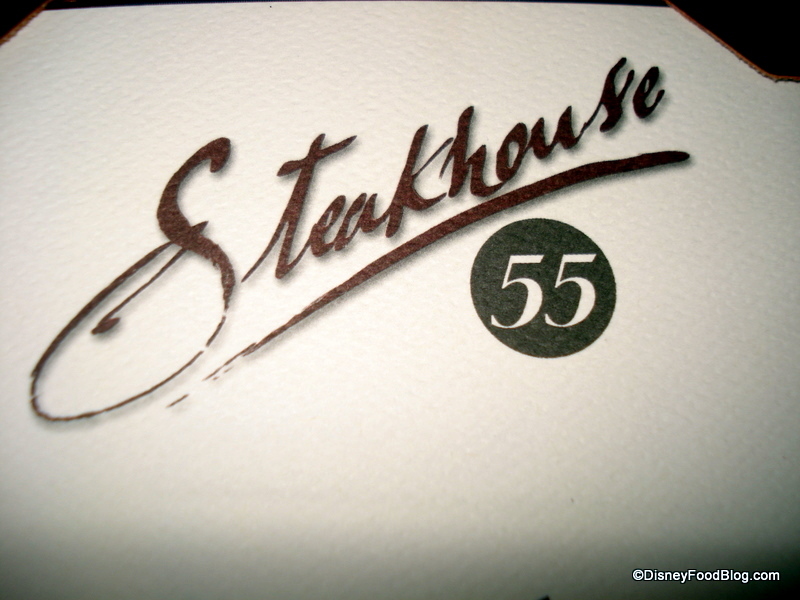 Ah, Steakhouse 55, a bastion of yesteryear near the Park That Started It All. Going to this place is like a living time capsule. Some historical exhibits celebrate the past by letting you look at it. But at Steakhouse 55, it’s like you’re actually stepping back through the years. And that’s a good thing. But if we’ve learned anything about Disney, it’s that change is always potentially on the horizon. Recently, they decided that the menu needed an overhaul. Maybe to match to some degree the rest of Disneyland’s emphasis on healthier fare? 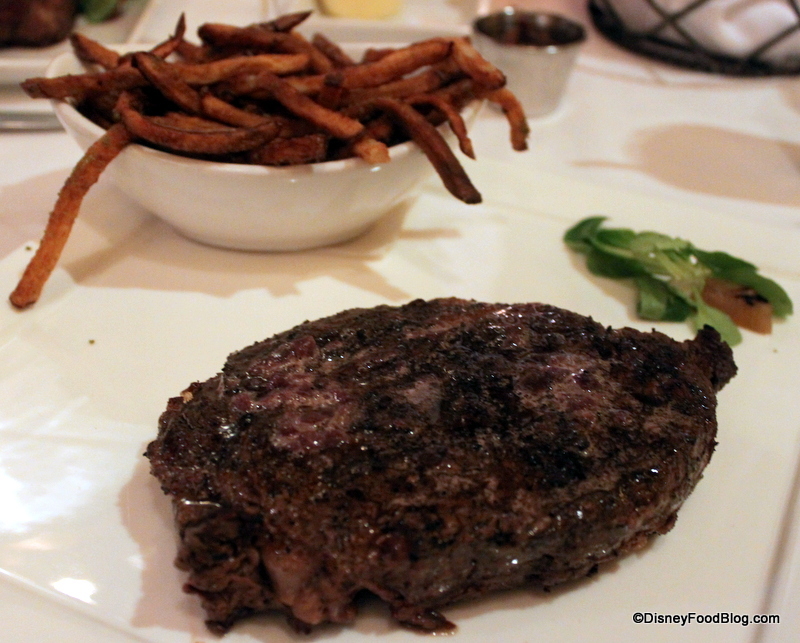 We actually visited Steakhouse 55 prior to the recent menu refresh. But there has been so much to tell you guys over the last month, I’m just getting around to sharing my experience! 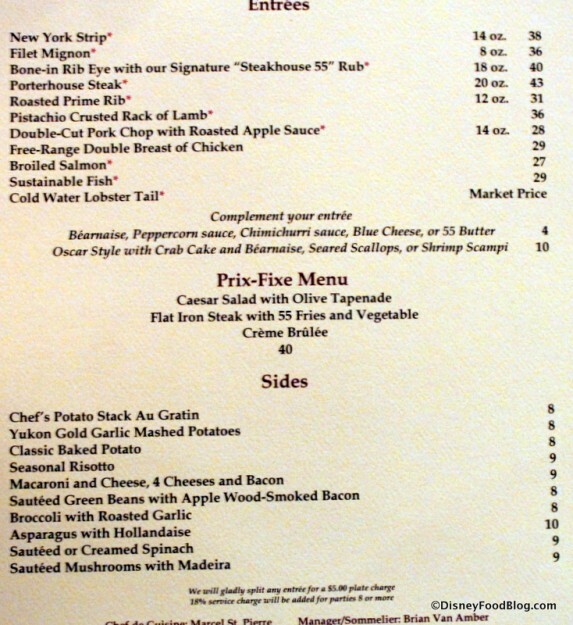 So be aware that if you plan to visit, the menu will look a little different than what you see here. 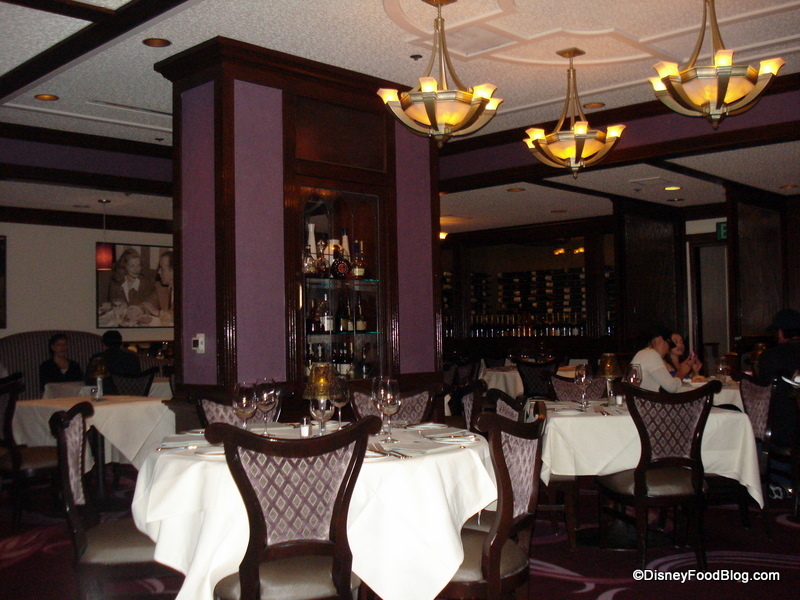 While Steakhouse 55 underwent a bit of a refresh in the decorating department last year, we didn’t find much different when we visited recently. 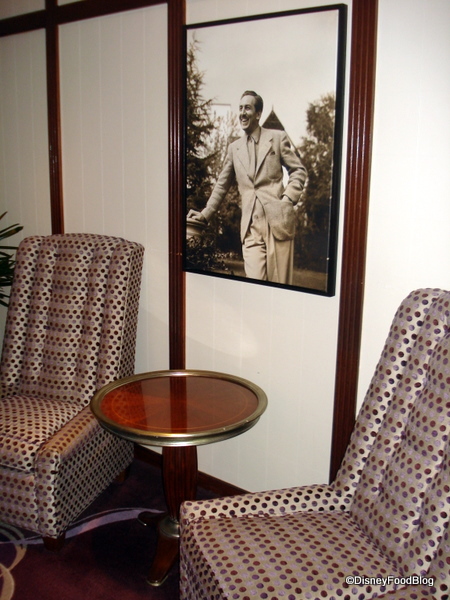 You’re still greeted by this iconic, enlarged photo of Walt Disney as you enter the space. 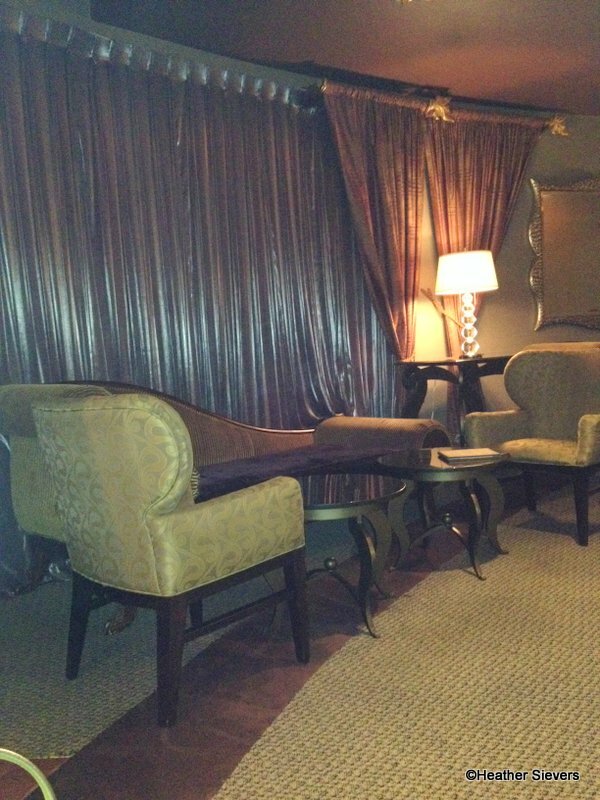 Rich wood trim and painted paneling hint at the more formal environment. 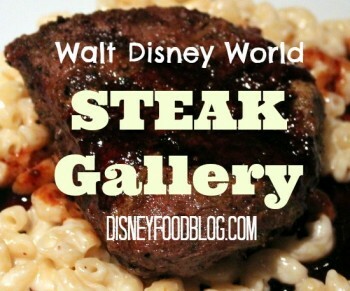 Once you’ve entered, it’s very hard to remember that Goofy’s Kitchen is right next door. You’ll come to the Steakhouse 55 Lounge first. Incidentally, this is a great spot to keep on your radar. 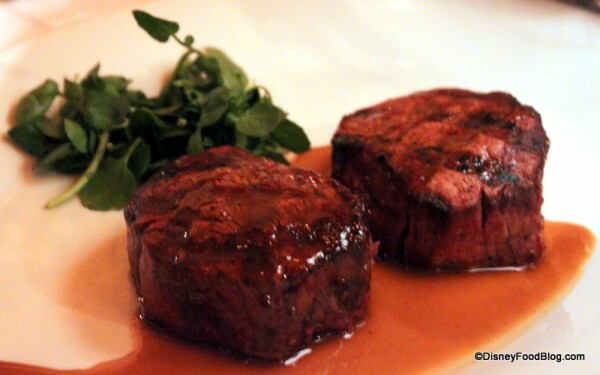 Reservations are not required and they feature a bar menu with some delicious and satisfying options. 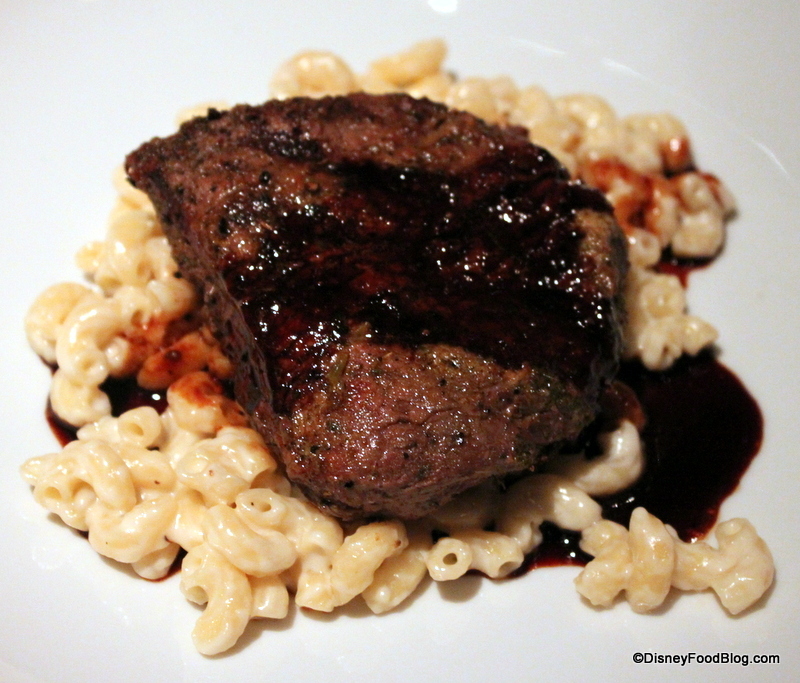 Recently they’ve also begun offering the full Steakhouse 55 Restaurant Menu in the Lounge as well. 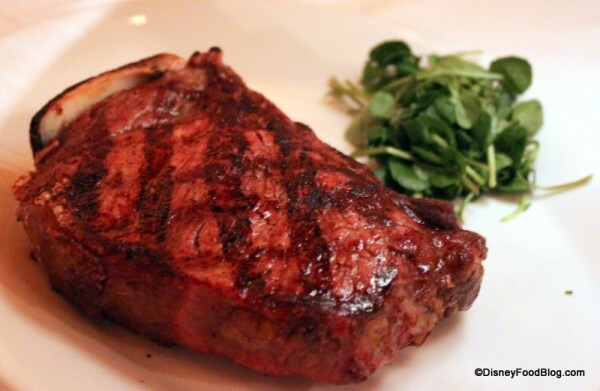 Stash this away in your bag of tricks in case you find yourself starving and looking for an upscale dining experience if the steakhouse itself is booked up. You’ll find shades of plum and silver, with plush finishes like satin and velvet. 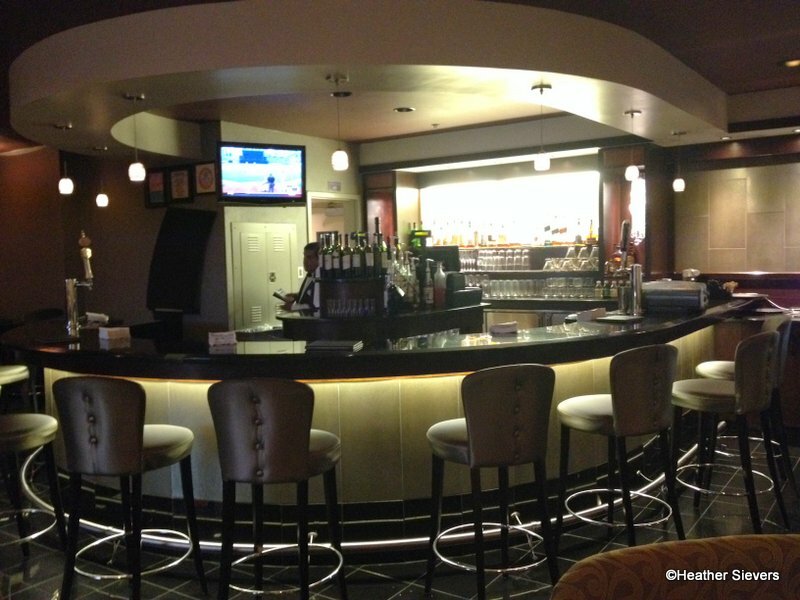 The bar area features a flat screen television, handy for checking out the latest scores. 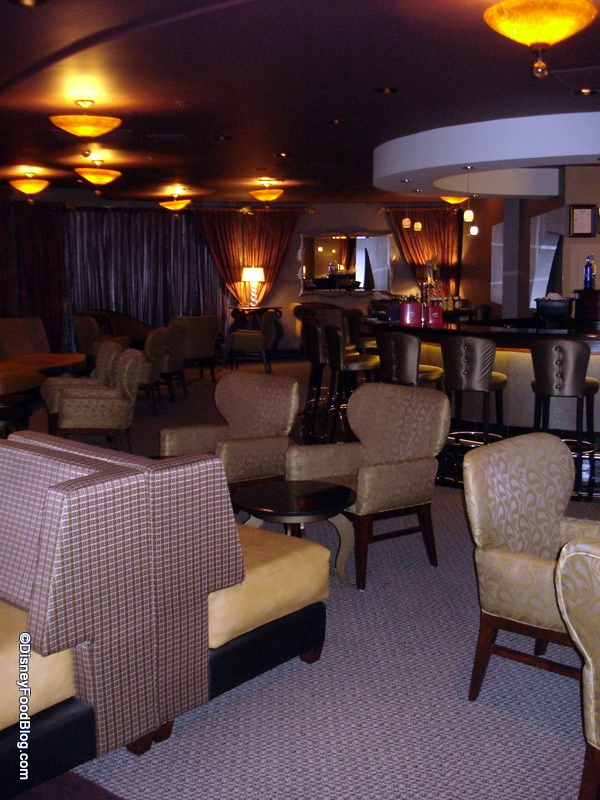 Find a spot at the bar, or enjoy comfortable seating in softly upholstered chairs and plush couches and chaises. Small tables are perfect for Bar Bites and Cocktails, but might pose a challenge if you’re enjoying a full meal. 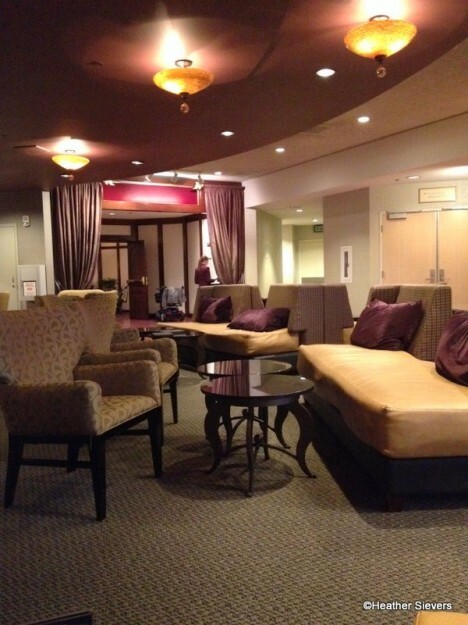 Exit the lounge and you’ll find the main dining room. Low lighting and white tablecloths hint at the more formal setting here. 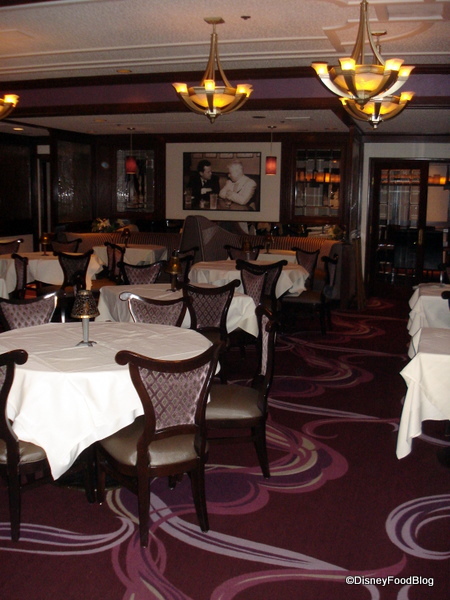 But you’ll find the same understated decor, punctuated by those large photographs of famous faces from years gone by. The feeling here is retro chic, and it’s not hard to imagine what this spot may have been like when the name over the door was still Granville’s, and the people in the pictures were sitting at the next table. I’ve shared with you that Steakhouse 55 is my absolute most favorite spot for breakfast at Disneyland, and Heather has written about her delicious experience dining in the Lounge. But it had been a while since I had taken in dinner here. Unfortunately, my timing was just a little off. 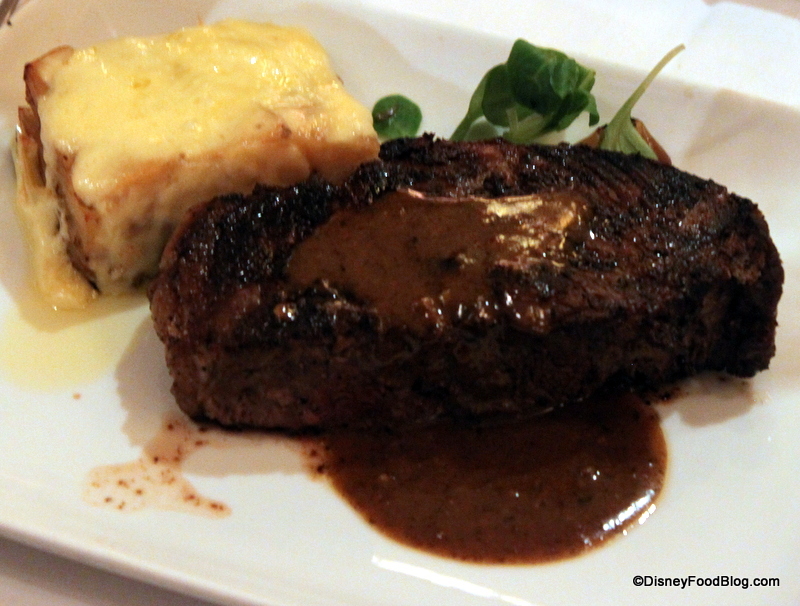 Immediately after we enjoyed this experience, the menu underwent a change. 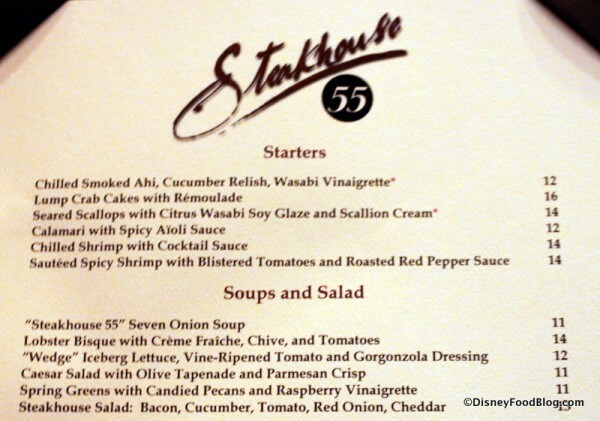 Here is the menu that Steakhouse 55 featured at the time of our dinner. Chef Marcel St. Pierre, a Disney veteran who was most recently over the kitchens of Club 33, has taken over at Steakhouse 55. Not surprisingly, he is eager to put his stamp on things here, and to experiment with some popular trends and classic French preparations. 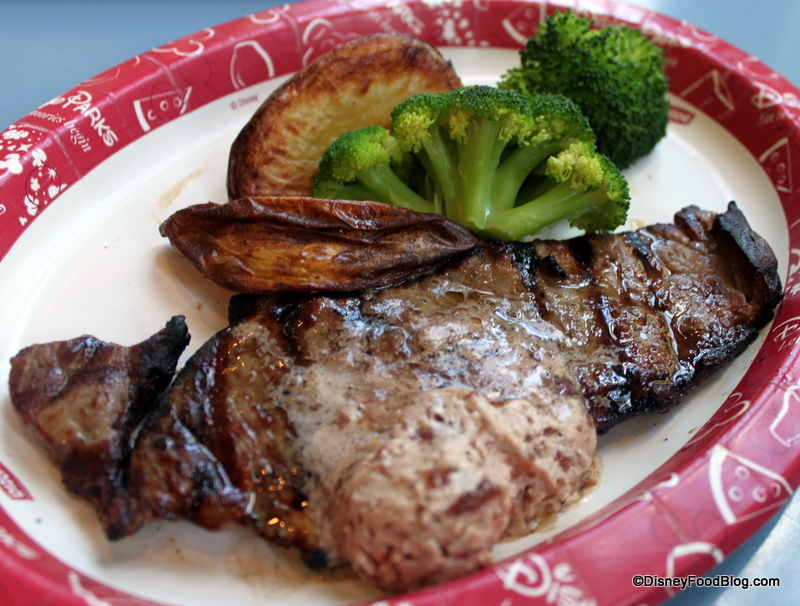 Since the changes, I’ll try to note where the dishes that we ordered have been updated. 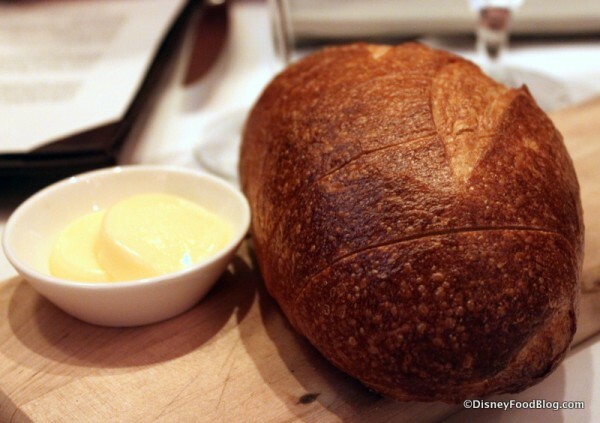 We began our meal with fresh, warm Sourdough Bread, served with softened, Unsalted Butter. My husband was dining with me. And you long-term DFB Readers know — he never passes up the chance to enjoy a Caesar Salad, and this visit was no exception! 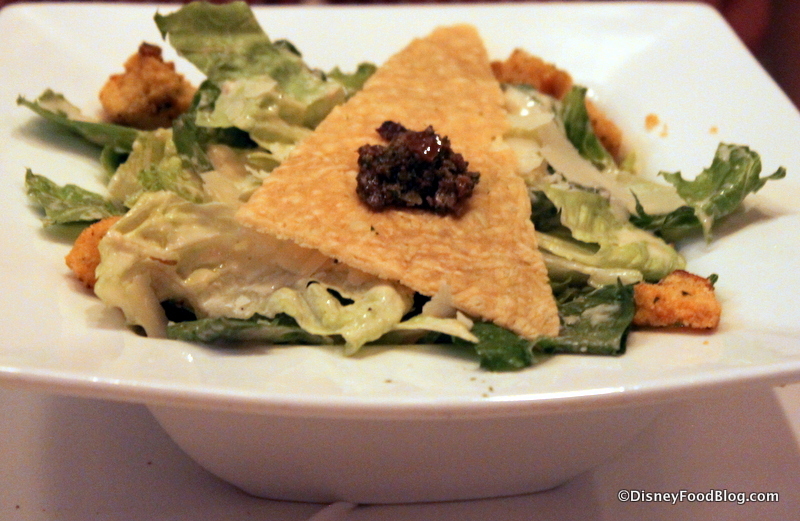 The classic version of the salad was served with Olive Tapenade atop a Parmesan Crisp. This salad has been replaced with Hearts of Romaine — served with Caesar Dressing. Yep. Basically the same. Just fancier. Another classic dish that we couldn’t pass up ordering was the legendary Steakhouse 55 Seven Onion Soup. 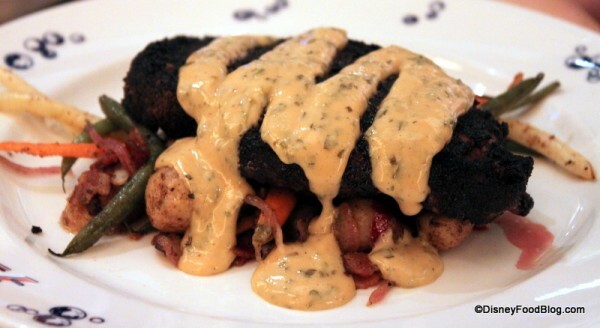 It’s delicious, but even better — it’s food theater. 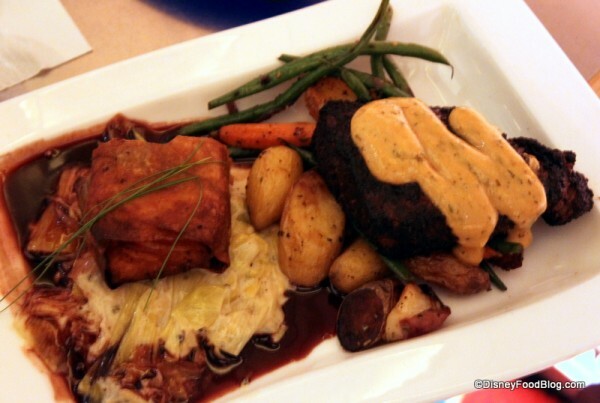 The soup comes together from two different dishes.